Hello and Welcome to Hybrid Rasta Mama! My name is Jennifer and this little corner of the interwebs is my pride and joy. I absolutely love being able to share information on all things related to toxic mold awareness, coconut oil, cbd oil, natural health & wellness, green living, allergen free real food recipes, and more I am so glad you stopped by and if you’ll hang around for two minutes, I’ll give you a little guided tour of what this site can offer you. Looking for information on Coconut Oil and other coconut related products? Most people who find themselves on my site are most definitely looking for information on coconut oil. I have an entire page dedicated to posts on coconut oil and how it may aid in specific health conditions. Click here to go to my Coconut Health page. Looking for information about coconut oil beyond health (like how to use it on your vehicle or pets)? Find my entire collection of articles here. Suspect Toxic Mold Is Responsible For Your Health Issues? I have been on quite the journey with toxic mold and am sharing all of my experiences, research, and trials with you! If you have toxic mold or suspect toxic mold, please check out my collection of posts on the topic. You can also head on over to my Toxic Mold Resource page where you will find tons of very useful information. Interested In Learning More About CBD Oil? Have you been wondering if CBD oil is right for you? Then head over to this post where I introduce you to the CBD oils I love, use, and trust. Or you can also learn more about ALL the various types of CBD products so you can make the right choice. 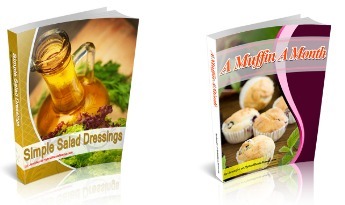 Looking for gluten free/grain free recipes using real food ingredients? You have come to the right place. Although I am not a food blogger, I do cook for my family every single day. From scratch. I share our family’s favorite recipes in hopes that they help you find some new, nourishing favorites. Of course, they all feature coconut oil whenever possible! Find a new favorite recipe here. Would you like to dive into the world of natural health and wellness? Awesome! I write about a wide variety of natural health topics and NOTHING is off limits! You can find all my natural health and wellness posts here. Click here for Men’s Health topics. Click here for Children’s Health posts. Would you like to try your hand at some DIY remedies? Head over here to view those easy tutorials. Also, be sure to check out the Nourished Living Summit which focuses on raising healthy children naturally. With over 69 professionals sharing essential knowledge, eye-opening expertise, and must-have advice with you, it is the premier online summit for all parents looking to care for their families naturally. Interested in seeing what else I write about? Here are a few additional categories! You can also head over to my blog and scroll around. Another option is to type in a search term in the “search” box in the top menu bar. Don’t be shy…just hunt around my site. The navigation bars should take you where you want to go. Be sure to check out my sidebar and footer too. There is always something there to enjoy! Would you like to add one of my books to your collection? I have written five books and contributed to three others. My most popular book, Coconut Oil For Your Skin, is something my audience rave about again and again. Why not check it out along with my other books. Head over to My Books here. Curious to see what products I personally use and love? I only endorse products I personally use, have had great success with, can stand behind, and would buy as gifts for friends. I vet the products I endorse carefully and have some very strict standards that must be met before I go around advertising it. I promise that everything on my Products I Love page is what I consider to be the best-of-the-best. Be like me and starting adding some of the products I use and love to your own collection. Have a question or just want to show me some love? Go ahead and contact me here. I am always happy to hear from you. Follow me on Social Media too! Thanks for stopping by and please stick around and come back often!